The Japanese Kitchen is a visually stunning and fascinating insight into the exquisite cuisine of Japan. 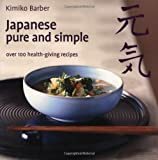 Kimiko Barber presents 100 ingredients, from the more familiar, such as soba (noodles) to the more unusual umeboshi (pickled plum), covering history, appearance, taste, buying, storing, culinary use and health benefits. These are accompanied by 200 delicious recipes, from classic recipes such as Chicken Teriyaki and Miso Soup to modern dishes like Crabmeat, Chilli and Lime Sushi and Cucumber Cups with Wasabi Mayonnaise. 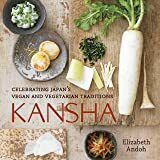 Through informative prose and beautiful photography, this book tells the full story behind Japanese cuisine and makes it inviting and accessible to all. Offers insight into the exquisite cuisine of Japan. This book presents 100 ingredients, from the more familiar, such as soba (noodles) to the more unusual umeboshi (pickled plum). It includes 200 recipes, from classic recipes such as Chicken Teriyaki to modern dishes like Crabmeat, Chilli and Lime Sushi and Cucumber Cups with Wasabi Mayonnaise. Kimiko Barber is a well-respected, self-taught Japanese cook and demonstrator, who teaches regularly at cookery schools around the UK. 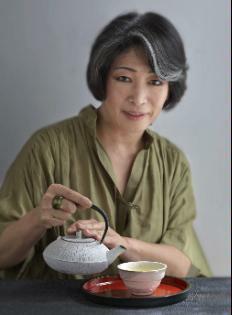 She is also the author of three other books; Sushi, Taste and Technique, Easy Noodles and Japanese Pure and Simple (which was shortlisted for a Guild of Food Writers' award). This series of books is really excellent as it provides a background to different ingredients and flavour combinations which make this regions food so distinctive. I actually havent used the recipes, I've read these books more to provide me with a philosophy of food. A really stunning book. Recipies easy to understand and ingredients not too complex and obtainable. All sections preceeded by a wealth of historical local information and lovely photos. I bought this as a gift for my son who had just returned from Japan and he was very happy with it. 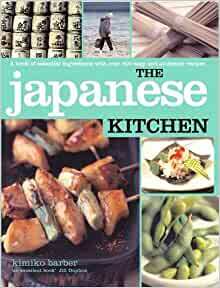 This book is very informative and lists all the ingredients you would need to cook a Japanese meal - hav tried some of the recipes and they were very good. Never tried Janaese cooking before and I wanted a book to list ingredients and descriptions thereof. This fits the bill!